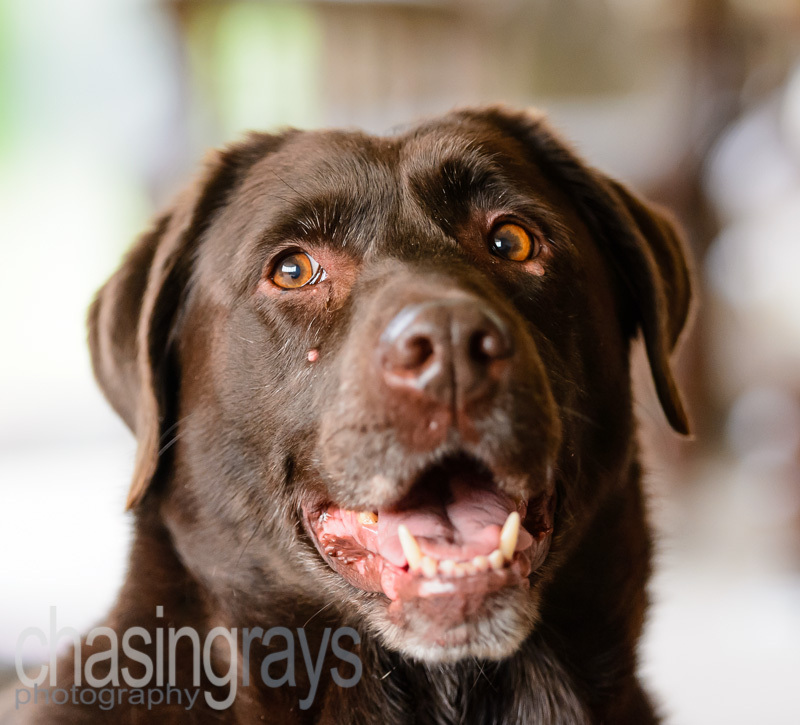 A selection of images of pets and other domesticated animals, generally taken as bespoke or portrait commissions for owners and other animal lovers. I sometimes get a bit choosy about what should go in the pets and wildlife categories, so have a look at both! When things get a bit too much and you've got a bit confused, retreat to the kitchen and look a little distressed; it often gets you a treat. 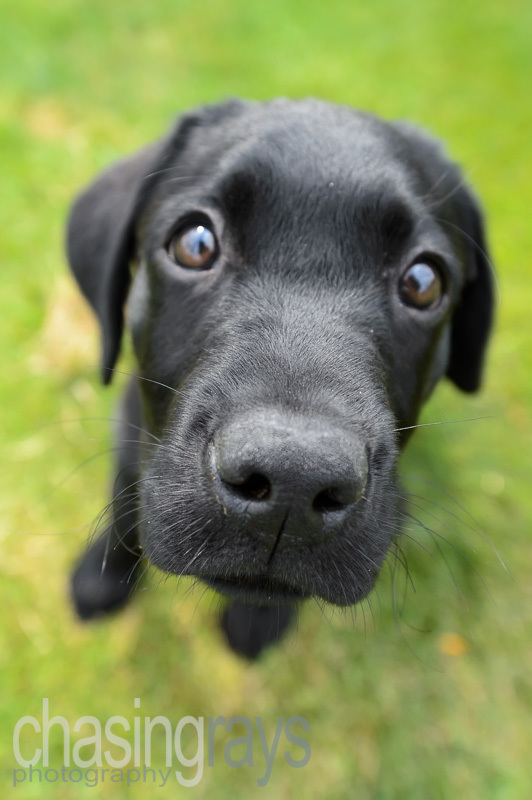 I'm not sure what it is exactly, but the combination of size, cuteness and inquisitiveness seems to suit puppies to fun wide angle shots like this one. 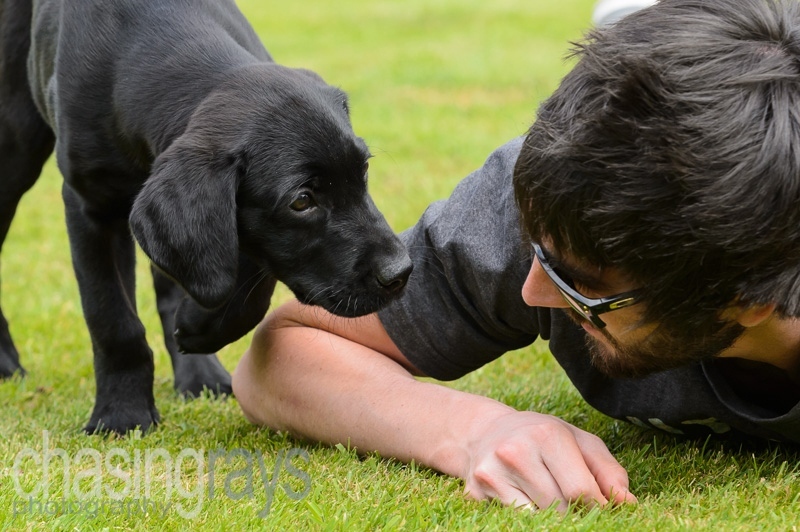 This is an image taken from a pet photography session, where the owner of this particularly cute black Labrador, Baxter, sidled up to his dad to find out what was what. And, presumably, if there was available anything to eat. 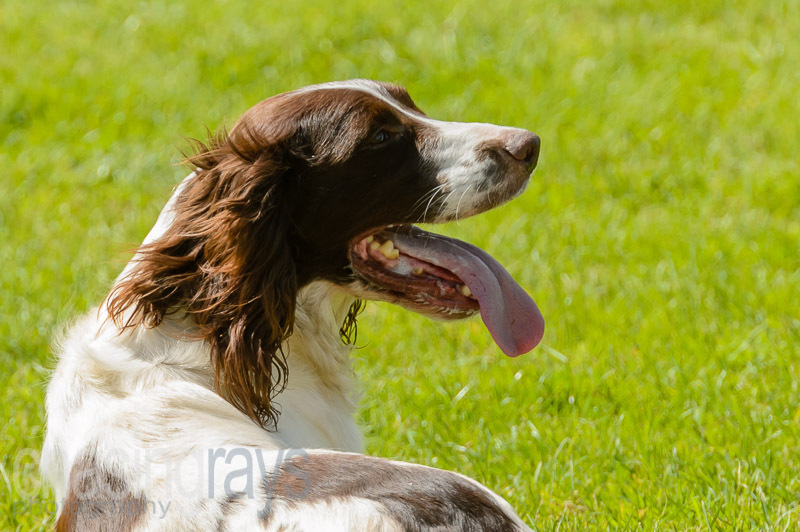 This is a shot of Spaniel, which was being displayed in his role as a gun dog. The image was taken using a 70-200 mm f/2.8 zoom lens. 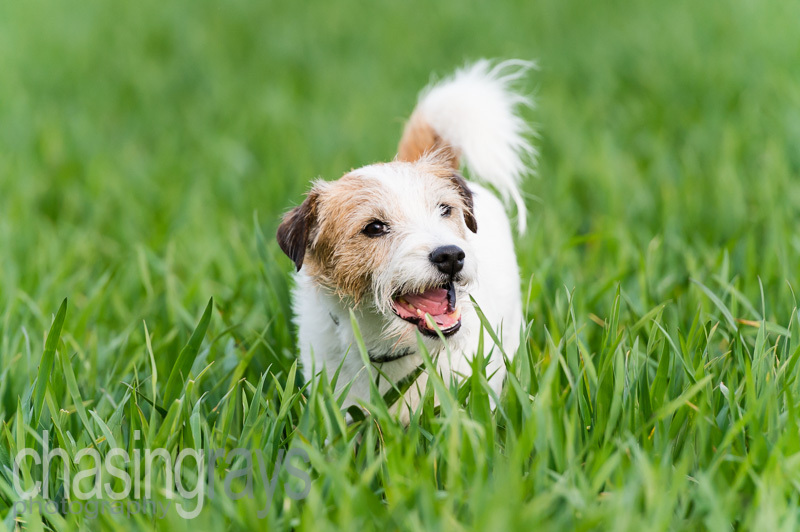 This is a shot from one of my pet portrait sessions, which was taken outside on the farmland near where the mother of this cute little fellow lives. 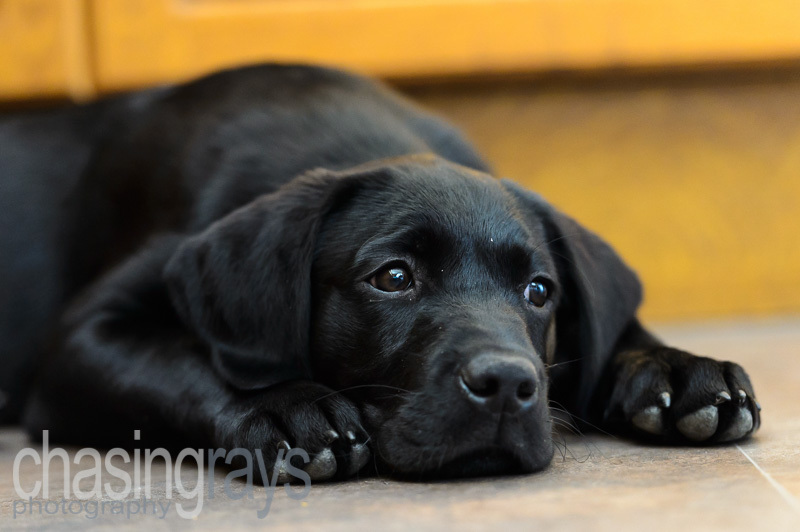 The image was taken with a Nikkor 70-200 mm f/2.8 lens fitted with a TC-17EII 1.7x teleconverter to try to capture his behaviour when he wasn't so near to us and just enjoying himself. Just like cats, dogs also have their moments, such that capturing them at the moment when you've just caught their attention - for example, "Time for a Walk" - becomes the greatest challenge; the moment when they realise that something is about to happen to their advantage is always the most amusing to me.